This is a video clip taken from the training sessions conducted by Guruji Krishnananda, where he explains how long it takes to experience Samadhi and how to know that we have experienced it. This is a video clip taken from the training sessions conducted by Guruji Krishnananda, where he speaks about initiation. No. It is beyond concentration. Meditation is silencing the Body, Mind and Intellect. In silence, many Spiritual processes begin and our Awareness expands to the Cosmic limits. It is in silence alone we can experience the Higher Reality. What are 'Walking Meditation', 'Dancing Meditation' and 'Dynamic Meditation'? Meditation is silencing; doing nothing. In Meditation there is no action. If you are doing anything, it cannot be Meditation. Can we meditate with music playing in the background? No. The sound will not allow our Awareness to go beyond the music. 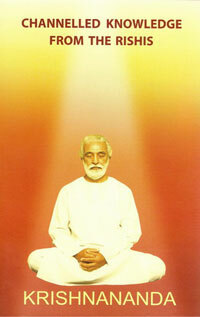 Is belief in God a must to meditate? Do we get the same benefits from all types of Meditation? Benefits depend on the technique, the guru and the Astral Masters in the path. How does Meditation help in daily life? Meditation brings wisdom, inner strength and sharpens the intuition. With all these, we can make the right choices and do only the right things. With this we will have peace. In spite of Meditation, there is no peace in me. What shall I do? Mere Meditation is not enough. We have to positivise and manifest love at all levels. How to increase the quality of Meditation? Make your system available to Higher Beings. Surrender to them. Have Love, faith and trust. Feel and experience the presence of God, in and around. In what stage of Meditation do thoughts vanish? Thoughts always remain. When we advance, our Awareness rises above the level of thoughts. How do we connect to the Universal Intelligence? Initiation is a process of charging the person with Spiritual energies and also tuning up the initiate to practise Meditation. Certain Spiritual processes are also activated. Is it necessary to get initiated? Is initiation a one-time process? No. It happens at every stage. When we are clear about our goal, we will know the right path. Which is the single factor that differentiates one path from the other? The goal. Here, our goal is experiencing and manifesting the Divine in all our thoughts, emotions and deeds; Perfection, Freedom and becoming a Rishi.